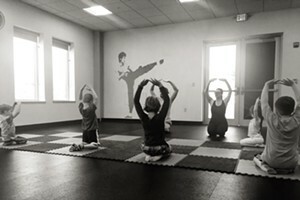 The Art Of... Filmmaking | The Art Of | Kids VT - small people, big ideas! The Stinky Baby Trilogy won't be coming to a theater near you — ever. The trio of short films, made by four elementary school-age girls, follows three babysitters who run away from their dirty-diapered charges. Enthusiastic viewers laughed and applauded during a lunchtime premiere at the Ilsley Public Library in Middlebury in August, though. The screening capped a four-day Special Effects Filmmaking Camp for kids entering grades 4 through 8. A collaboration with Middlebury Community Television, it was one of three summer video camps held at the library. Moviemaking isn't just a summertime activity there; during the school year, fledgling filmmakers can attend the library's weekly drop-in Youth Media Lab. Both the camps and the labs teach kids to look critically at video and produce quality media of their own, according to MCTV's technology coordinator, Kurt Broderson. "Kids are exposed to media all the time," he said. "Knowing both how to make it and how to watch it, [they'll] be much better off." In introductory filmmaking camps, kids familiarize themselves with video cameras, learning terminology such as "establishing shot" and "extreme close-up" by watching videos made by older students and creating short test films of their own. They also learn to use iMovie, video-editing software that comes free with Macs, and work in small groups to write, film and edit longer movies. The one-hour labs focus on more specialized themes such as shadows, reflections, chase scenes and transitions. 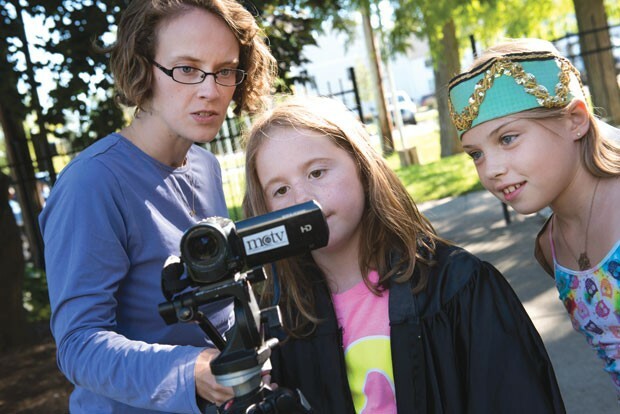 The Special Effects camp could also be called Advanced Filmmaking, Broderson explained, because kids must have taken a previous video camp or regularly attended Youth Media Lab to participate. On the final morning of Special Effects camp, students were putting the finishing touches on their films at computers in the corner of the children's and young-adult section of the library. A group of middle school-age boys showed Broderson the latest cut of their two-and-a-half-minute film, The Unfair Dealing. In it, an angry boy chases a friend through the streets after the friend doesn't share his Goldfish crackers equitably. The climax involves a shoot-out, in which the boys use their fingers as guns. Broderson said he allowed the PG-13-level violence because it gave the kids a chance to try out new special effects — explosions and muzzle flashes — using iMovie. "You really want to cut from action to action," Broderson advised the group when he reviewed their chase sequence, suggesting they trim some dead air. With a couple of clicks of the mouse, the boys made the edit. "If I had this as a kid, I don't think I would have done anything else," Broderson said. One computer away, a group of four girls excitedly viewed the final cut of the first film in their Stinky Baby Trilogy, which runs just over eight minutes. "FYI, the babies' voices are coming from us," explained 9-year-old moviemaker Natalia Martorella as a shot of dolls with squeaky voices flashed on the screen. Later, she pulled up Magnificent Magic Show — a movie she made in an earlier camp — and explained how she used a green-screen effect to make it look like her friend was hovering in midair. Martorella moved to Middlebury at the end of the last school year and found out about the video camps and classes during a casual trip to the library. Now she's hooked. "You can capture everything you see and show it to everyone," she said. "It's actually pretty fun." During the school year, Youth Media Labs are offered on Tuesday afternoons from 3:30 to 4:30 p.m. at the Ilsley Public Library in Middlebury. For more information, contact the library at 388-4095 or Kurt Broderson at kurt@middleburycommunitytv.org. To view movies created during the Youth Media Lab and video camps, visit ilsleypubliclibrary.org and click on the YouthTV icon.